MIKE Force was composed of the persecuted Degar, Bahnar, Hmong, Nung, Jarai, Khmer Krom, and Montagnards. 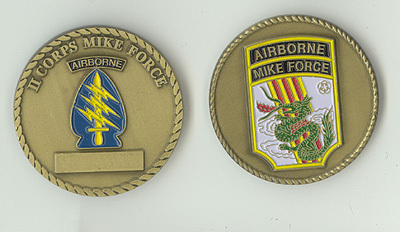 MIKE Force was active under MACV, Army Special Forces, from 1964 to 1970 and under ARVN until 1974. MIKE Force waged special warfare against the Viet Minh, NLF (Viet Cong), and PAVN (North Vietnamese Army) oppressors in various detachments, volunteering in support of MIKE Force missions. MIKE Force's mission was to act as a country-wide quick reaction force for securing, reinforcing, and recapturing CIDG A Camps, as well as to conduct special reconnaissance patrols. Search and rescue and search and destroy missions were also assigned. 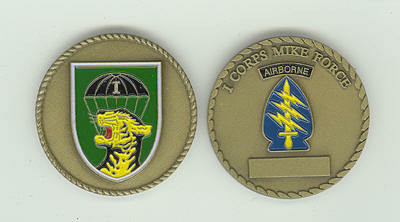 The conventional unit alternative to Special Forces detachments like MIKE was Tiger Force, which was primarily tasked with counter-guerrilla warfare against enemies from behind their lines that emphasized body-count rather than force multiplication. 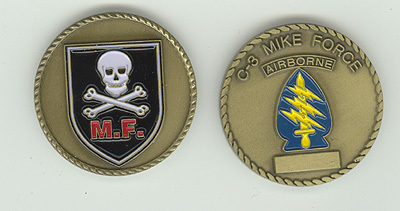 MIKE Force had a critical role in the search and rescue of downed American pilots because they were mobile and often in close proximity to the DMZ. MIKE Force also designated drop zones, landing zones, called in air strikes on high value targets, and collected intelligence during recons, much like the LRRPs. 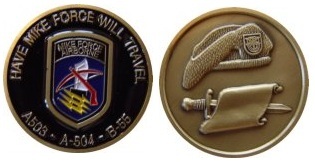 In 1970 MIKE Force was disbanded after Vietnamization ruined the loyalty of the indigenous personnel when SF were ordered to abandon them to the command of the South Vietnamese. While many Montagnards were Christian, they were still looked down upon by the Vietnamese and referred to as savages. In 1974 what indigenous personnel of the MIKE Forces remained in Vietnam were, along with their tribes of origin, systematically hunted down and murdered by the North Vietnamese when they took over the South. Some Hmong, Nung, Montagnard, and other groups still escape and evade persecution in Vietnam while struggling for independence, much like the people of Burma who were left by Detachment 101 when, like Det. 101, MACV was ordered home by the President.